Ever since she was a little girl, Anita Lee has loved taking care of people. She adores pampering those around her, using beauty as a form of comfort. Whether it is as simple as applying lipstick or as quick as a hair wash, she cherishes the little things. Hers is a definition of beauty that never focuses on vanity; rather, it is about intimacy. That spirit remains at the heart of Lee’s practice, which includes hair styling and makeup artistry. Throughout her career, she has listened to her dedicated clients admit their deepest desires and even fears. 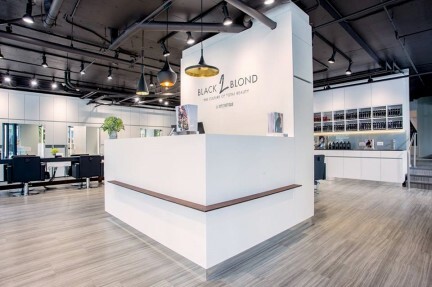 As she snips away inches of hair or applies eyelash extensions, she is always attentive, unafraid to address the hardships often considered taboo for a salon setting. Lee has established her chair as a place of relief, a place of healing. She has built a safe foundation for those who seek her protection. 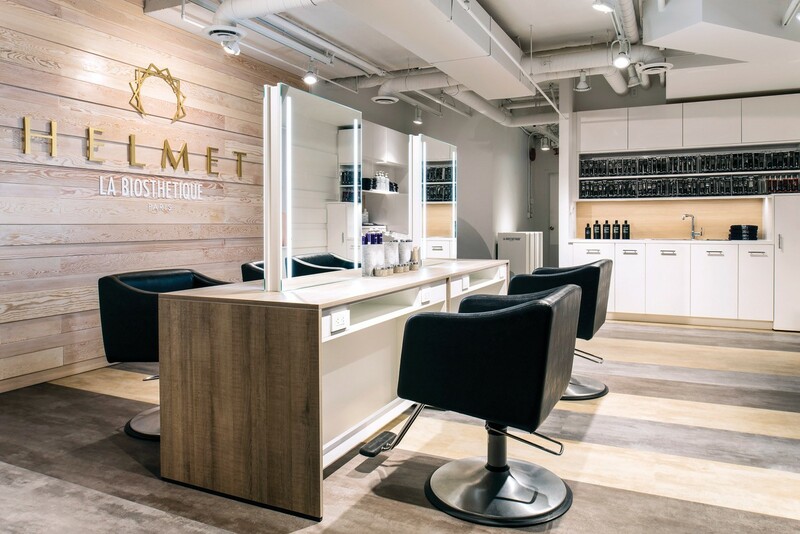 Nestled under tall trees along Oak Street, Lee’s new Helmet Salon location (previously on Cambie) is modern and private. With interior touches by House of Bohn, Helmet features a mere four working stations, allowing for a controlled and confidential environment. “We are always growing, that’s why we work in the middle of the room,” Lee says with a warm smile. The space is bright, with natural light falling on white and gold pillows ever so delicately. Lining the wood-covered walls are products from the French-German company La Biosthétique. Dedicated to the latest research in beauty, the brand focuses on skin care, makeup, and hair care. Lee, a La Biosthétique educator and ambassador, says partnering with the company for Helmet Salon was an easy fit. Not only does she admire the high-quality ingredients used in the formulas, but she also cherishes the values that La Biosthétique represents: luxury, teamwork, and all-around excellence. 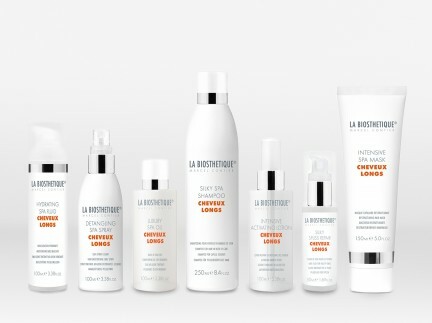 She wants to give her clients the best treatments, and La Biosthétique supports her mission. Speaking of clients, Lee’s are a cherished bunch. Instead of seeking walk-ins off the street, Lee prefers to keep her customer base close-knit. “I don’t want this space to attract other people from outside to come in,” she confesses as she shows of her mastery with a pair of scissors. “I wanted this space to be designed for the comfort and appreciation for the clients that have already been with me. It’s us being present here, and mindful. 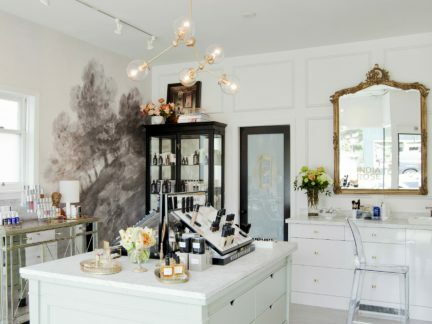 This is the space for that.” As such, she mostly works on a referral basis (though her style associates at Helmet do take on new customer inquiries), and her regulars often book months in advance. “Time is precious,” Lee explains. “We need to spend our time getting to know each other. It’s like an opening act. It’s not about what I’m doing, it’s about doing it together.” Lee is also not one to be flashy, never falling prey to the trends of other hair salons that are covered with neon signs and Instagrammable corners. What she cares about more is being discreet and trusted. What makes Helmet stand out in a sea of beauty destinations in Vancouver is a certain degree of humility. “My philosophy and value has never changed: I’ve always been chasing a safe foundation,” Lee says. “My ultimate dream was to have a space where I could really have this safe environment and atmosphere.” Her personality is infectious, and her positive warmth is a special form of protection. When you’re in Lee’s care, it’s the only helmet you need.